I will be adding new content to this post so check back often! I always look forward to the LMA Annual Conference because this is the time I get to see my colleagues and friends, as well as meet many new people, which I love to do. We learn. We hug. We brainstorm. We share. We work hard. We do a lot in 3 days! We all have something in common. We want to help our firms and lawyers do what they do better, too, and that is a good feeling to share. Becoming a lawyer is a very high calling, and leading and supporting lawyers so they can lead and support their clients is also a very high calling that we take seriously. The muscle behind the conference is the Legal Marketing Association, or LMA, which is headed by Executive Director Betsi Roach, President Jill Weber, and the International Board of Directors. Volunteers from a dozen firms form the 2017 Annual Conference Advisory Committee, including conference co-chairs, Cynthia Voth, Director of Business Development and Administration, Miller Nash Graham & Dunn, and Paul S. Grabowski, Chief Marketing Officer, Bracewell LLP. Thanks to all of your for your selfless dedication. This is a huge endeavor and calls for a great deal of time and passion from you. As I like to do, I will collect blog posts, videos, audio and other content from this year’s conference to make it easier for anyone interested to find everything in one place. I will add to this post as my colleagues and I publish additional content. If you see, write or produce something I haven’t found, please let me know so I can add it, okay? I will date the entries with the date I add them so you can quickly find new posts. Tweet those links to me at @NancyMyrland, message me privately on LinkedIn here, or email me at [email protected] using #LMA17 in the subject line. I created an easy URL, so you can either bookmark it or just remember http://bit.ly/LMA17byNancy. Every year, I create a list on Twitter of all of those who are attending the annual conference. I encourage you to follow that list and each other as we, obviously, have a lot in common! If you want to be added to that public list, here is where you can find the #LMA17 Attendee List. Just Tweet me to let me know you would like to be added. It’s that easy! 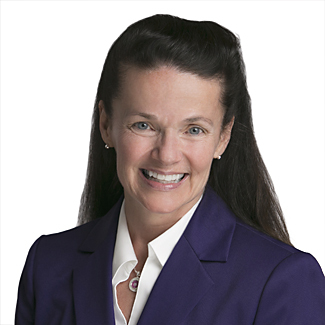 Nancy Myrland is a Marketing and Business Development Plan Consultant, and a Content, Social & Digital Media Speaker, Trainer & Advisor, helping lawyers and legal marketers grow by integrating all marketing disciplines. She is a frequent LinkedIn, Twitter, and Facebook for Business trainer, as well as a content marketing specialist. She helps lawyers, law firms, and legal marketers understand how to make their marketing and business development efforts more relevant to their current and potential clients, and helps lead law firms through their online digital strategy when dealing with high-stakes, visible cases. As an early and constant adopter of social and digital media and technology, she also helps firms with blogging, podcasts, video marketing, and livestreaming. She can be reached via email here.